TBT Engineering Staff Go Purple In Support Of Child Abuse Prevention! On Wednesday, October 24th TBT Engineering participated in the annual Step Up campaign. This joint effort by Dilico Anishinabek Family Care and The Children’s Aid Society aims to remind our community that we are all responsible for the safety, happiness, and well-being of children and youth. 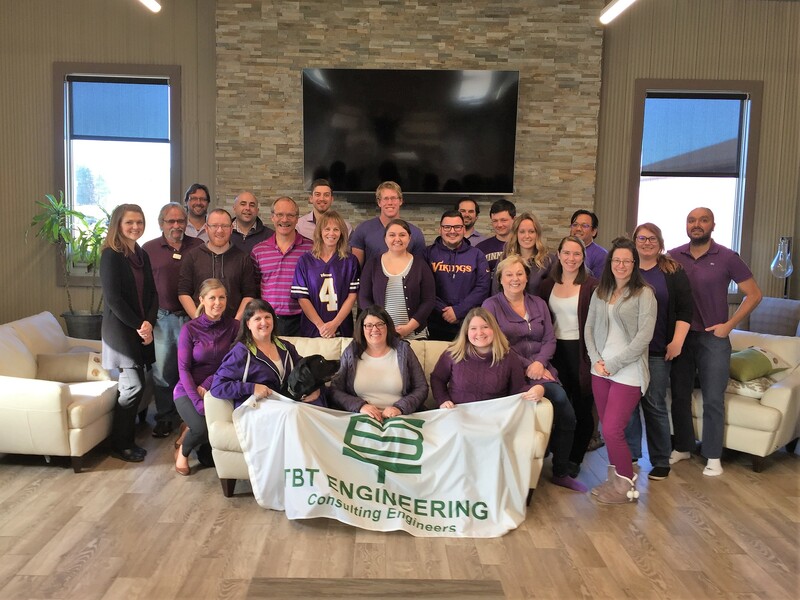 TBTE employees got involved by wearing purple, the official colour of child abuse prevention. TBT Engineering’s annual employee-driven Golf Tournament fundraiser was a resounding success once again this year! 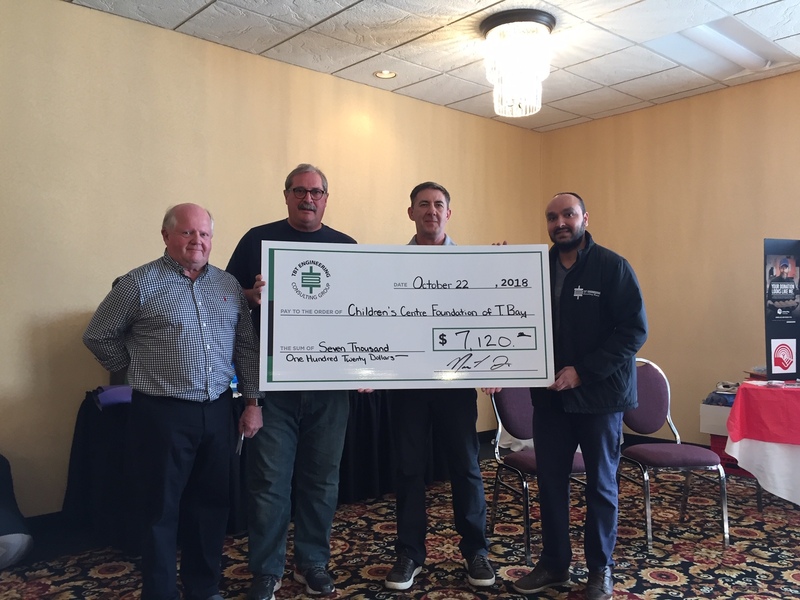 This year’s Tournament drew in a record attendance of over 106 golfers and together we raised $7,120.00 for the Children’s Centre Foundation of Thunder Bay. TBTE would just like to say THANK YOU again to every individual and organization that donated prizes, our volunteers, and all the golfers that attended. 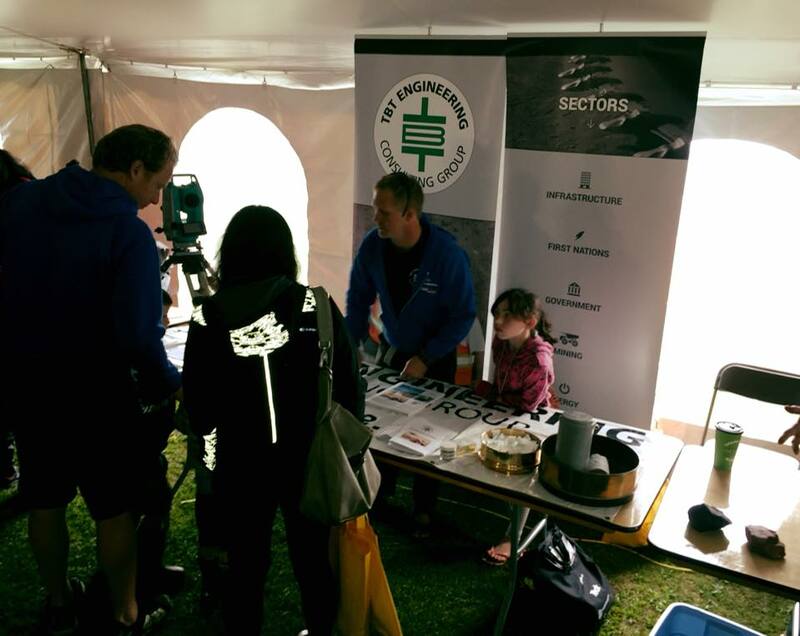 On Saturday, June 23, TBT Engineering had a fantastic day partnering with NWOPA at Marina Park for the 6th annual Thunder Bay Mining Day! TBT Engineering Limited (TBTE) has been retained by The City of Thunder Bay (COTB) to provide design and contract administration services for a new multi-use bridge over the McIntyre Floodway that would connect Vickers Street to Carrick Street. The new bridge will be consistent with the COTB Active Transportation Plan and establish a north-south cycling corridor in order to foster a safe, comfortable, and convenient path for cycle-commuting and other forms of non-vehicular travel. An active transportation corridor that utilizes Carrick Street and Vickers Street as a main thoroughfare was chosen by the COTB as a practical, low-stress, and direct route to link the City’s two cores. A new bridge crossing the McIntyre Floodway was identified as a key component of this route. The establishment of this active transportation corridor has been identified as a priority action in developing the commuter and recreational network in Thunder Bay. This project will follow the Schedule B Process for the Municipal Class Environmental Assessment (MCEA) (October 2000, as amended 2007, 2011, & 2015). Schedule B undertakings have the potential for adverse environmental effects; these effects are well understood from a technical perspective and are minor in nature. Schedule B projects are required to go through a screening process, including consultation with those who may be affected. 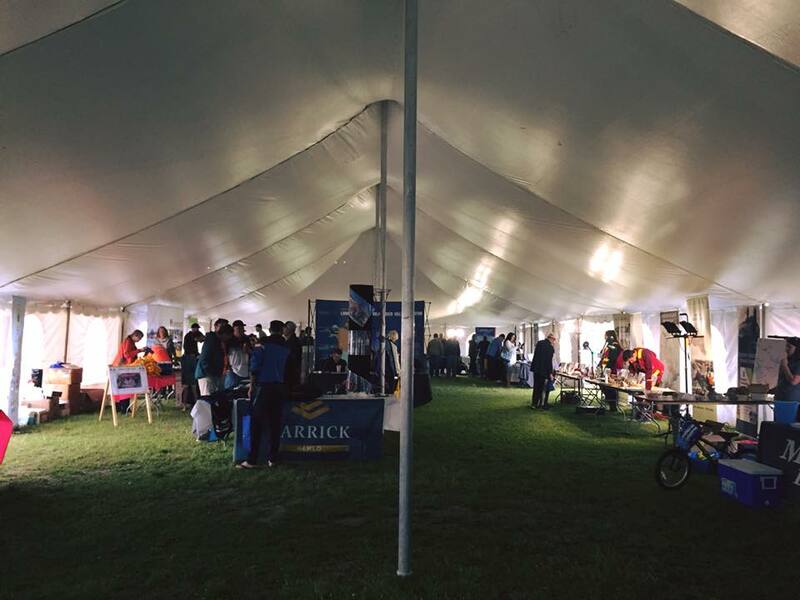 A Public Information Centre was held on Thursday, October 4th, 2018. This website will host all public notices pertaining to the Schedule B MCEA and will be updated regularly. Ms. Dani Rhodes, P. Eng, C.E.T. TBT Engineering joined St. Jude School’s gr. 4 class for Take Back the Kitchen, a 5 week program for gr. 4 – 6 students at St. Jude School provided through @OurKidsCountTB aimed at teaching healthy meal options and kitchen essentials! We are proud to sponsor this great program. 2018 Lakehead University Steel Bridge Team places 1st at Regionals! 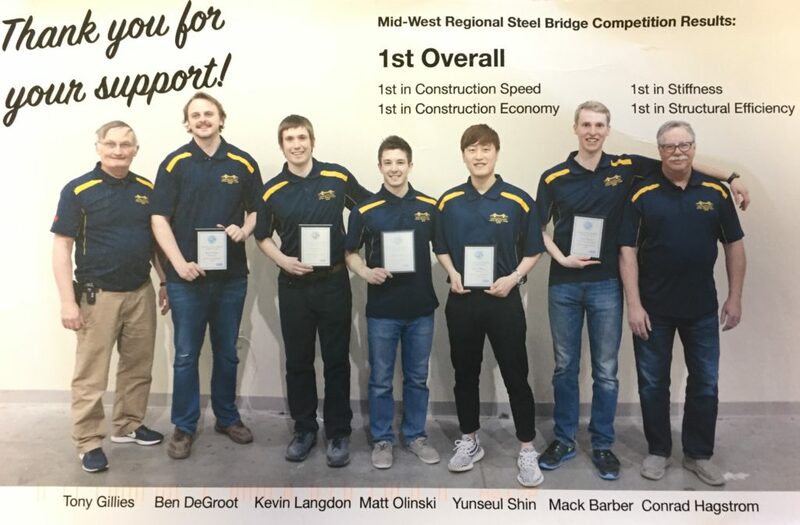 Congratulations to the 2018 Lakehead University Steel Bridge Team on their 1st place finish at the ASCE Mid-West Regional Steel Bridge Competition! The competition which was held at the University of Iowa featured schools from Minnesota, Wisconsin, Iowa, North Dakota, Northern Ontario, and Manitoba. The Lakehead University Team will now travel to Illinois to compete at Nationals! We wish them the best of luck!! TBT Engineering is a proud sponsor. TBT Engineering awarded Exceptional Large Business at Chamber event! TBT Engineering was awarded the Business Excellence Award (Large) at the annual Thunder Bay Chamber of Commerce Gala held on Saturday April 14. 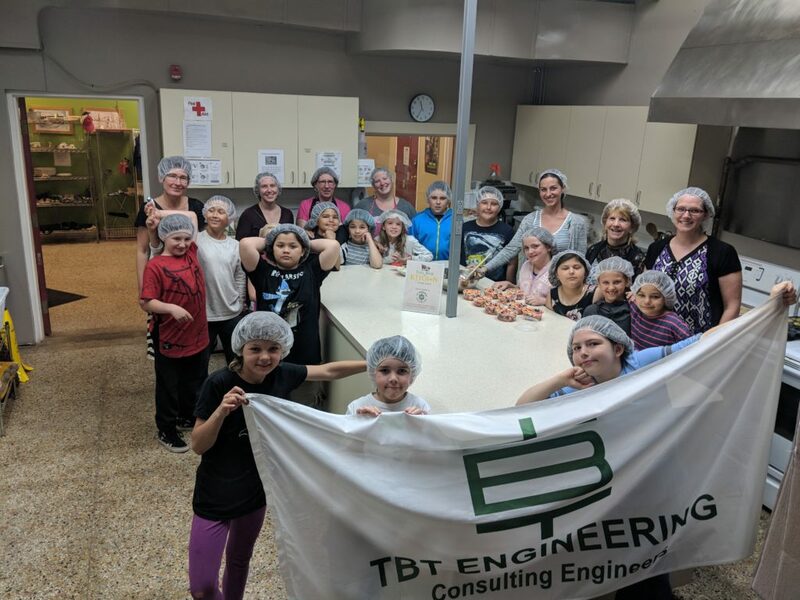 This was due largely in part to the amazing group of TBTE employees we have working to make a difference in our communities. In appreciation of all their efforts, TBT held a little celebration for our staff yesterday afternoon with treats from Nucci’s Bake A Deli. Thanks again for this award which recognizes all of the hard work and dedication they put in. 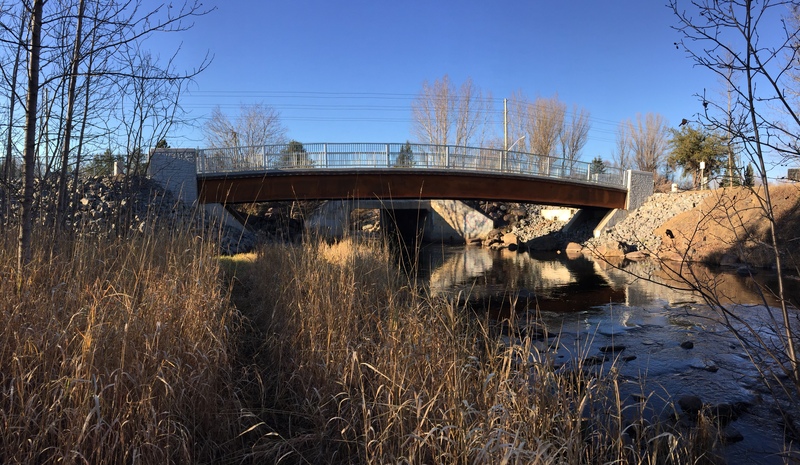 This past summer, TBT Engineering (TBTE), and MNRF worked closely together to ensure various environmental considerations, including protections, were incorporated into the design and construction of a project to restore a natural stream at the Raleigh Creek Crossing. Working closely with the assistance of a Fisheries Contract Specialist from TBT Engineering… MNRF Trained Students compiled site information, measured water quality and used backpack electrofishing, seine nets and minnow traps to gather information about fish habitat and local fish species, including Northern Pike, White Sucker, and Yellow Perch. Congratulations to everyone that was involved in this worthwhile project; the day after construction on the natural stream was completed, fish were already back in the new channel and seemed to love their new home!! 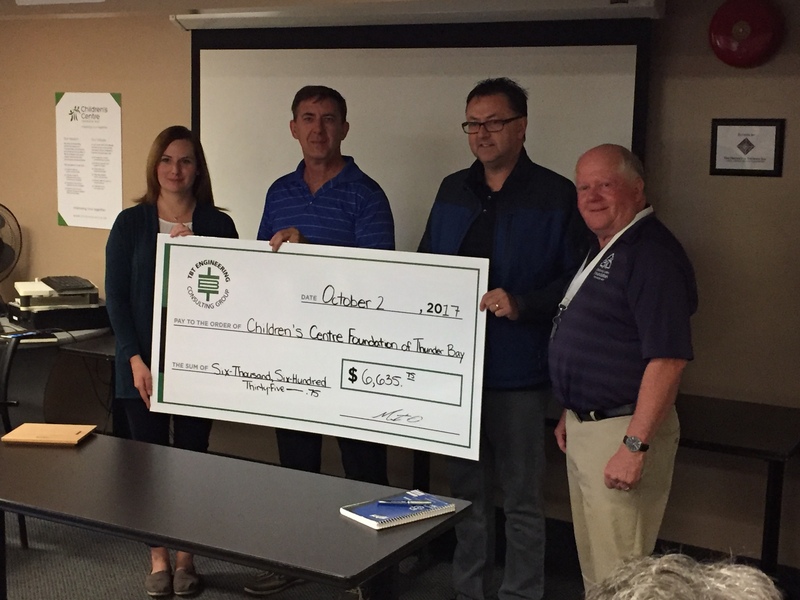 Annual TBTE Golf Tournament Raises $6,635 for the Children’s Centre Foundation! 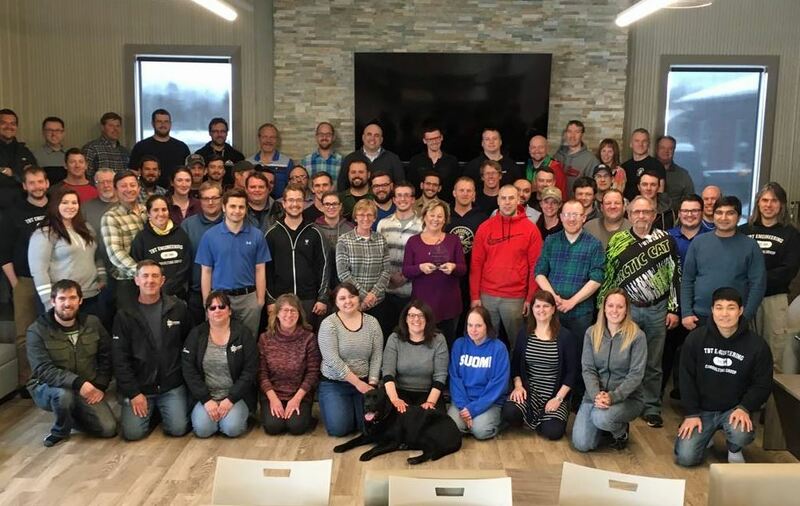 TBT Engineering’s employee-driven Annual Golf Tournament Fundraiser was a resounding success this year. This year’s event drew in a record attendance of over 100 golfers and the total raised for the Children’s Centre Foundation of Thunder Bay was $6,635.75 We would just like to say a big THANK YOU to all those who donated prizes and all the golfers in attendance. A great event once again!